JPFreek has partnered with Team Tech Offroad and Switch-Pros to give away a Switch-Pros SP-8100 8-Switch Power System and Team Tech Offroad Jeep JK Mounting Panel. Programmable control for up to 8 accessories and a mounting solution to put it in unused space if you have a JK! 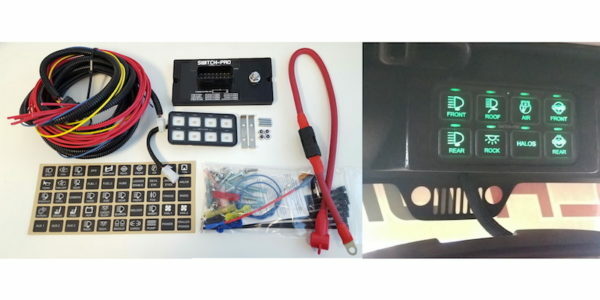 Clean up your wiring and take control of your 12V accessories with this one simple solution from Switch-Pros. And if you have a JK, use the new Team Tech Offroad mounting panel to mount it cleanly above your rear view mirror. Enter via any/all of the methods below for your chance at this sweet package. Drawing December 24th at 11:00 PM Eastern, just in time for Christmas! « New Issue – Fall 2016 is live!